21D-86. Cornell Dubilier (CDE). 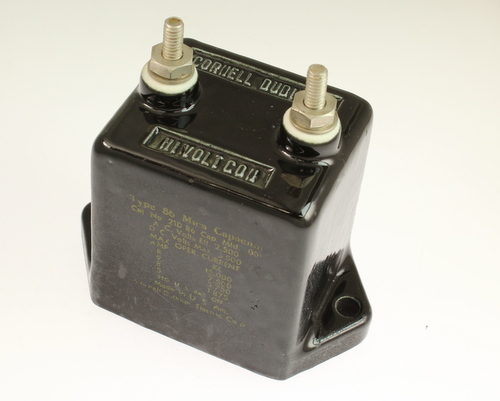 Type 86 Mica Capacitor. Screw Type Terminals. .001uF 3500VDC 2500VAC.